Some know “buttermilk” as the slightly sour liquid left behind after butter has been churned. Others? Southern goodness. And for one Southerner, buttermilk represents something much more — a philosophy that nothing should go to waste. This approach is reflected in all of Chef Suzanne Vizethann’s dishes, but perhaps even more so in her nonstop pursuit of culinary excellence as owner and executive chef of Atlanta’s Buttermilk Kitchen. 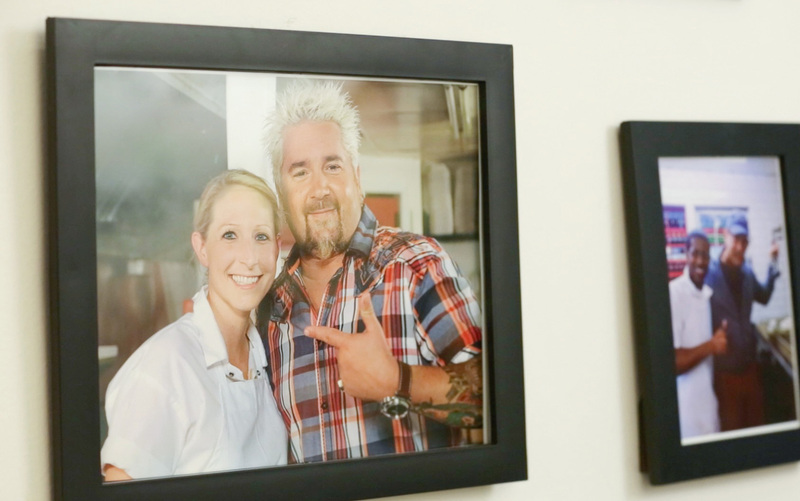 Vizethann has become a growing national force in the kitchen following a winning stint on The Food Network’s Chopped and as a featured restaurant on Diners, Drive-Ins and Dives. 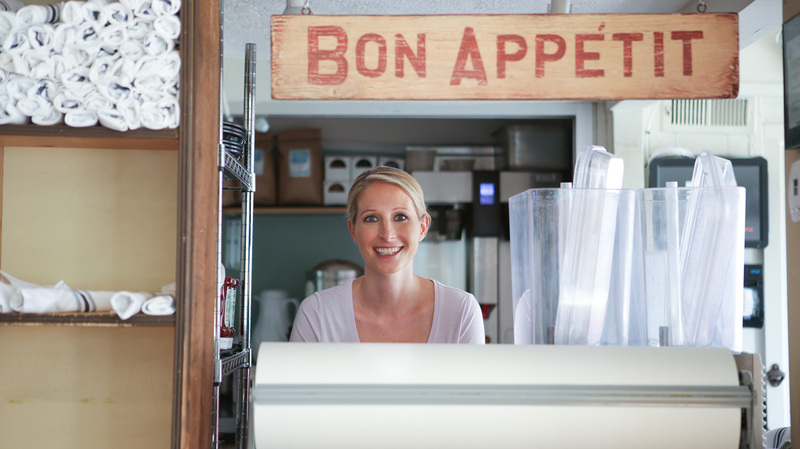 But pull up a bar stool next to Vizethann at Buttermilk Kitchen, peer into the bustling kitchen, and you’ll quickly see what led to her ongoing success — one pinch luck and a heck of a lot of determination. Her love of ingredients can be traced back to early childhood memories in her kitchen in Atlanta, where she drew cooking inspiration from watching her parents, aunt and German nanny. Go-to menu items included scrambled eggs with minced chives and Southern-infused Italian dishes (a nod to her father’s Italian roots), like fried chicken served with tomato and mozzarella. In the years ahead, Vizethann became a self-professed Food Network addict, recreating recipes but never pushing it beyond a hobby. After attending college as a hospitality major at the University of South Carolina, Vizethann returned to Atlanta, where she decided to “give [cooking] a go” at The Art Institute of Atlanta. In 2008 at the age of 26, Vizethann and her best friend opened The Hungry Peach, a breakfast and lunch café in Atlanta’s Decorative Arts District (ADAC), a hub for designers and their clients. 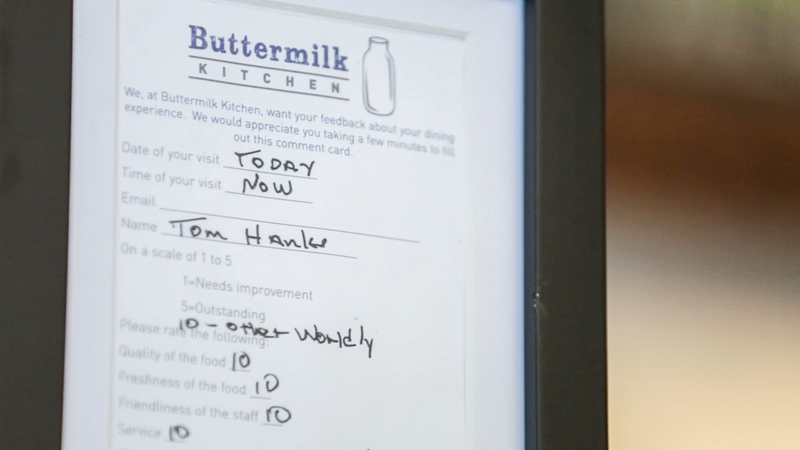 The restaurant was an opportunity to “learn what Southern customers are looking for,” according to Vizethann, and it was there the pair invented their signature pimento cheese, one of a number of recipes that have translated to Buttermilk Kitchen’s current menu. As Vizethann’s Atlanta following was growing, New York-based Food Network was looking for ways to reach out regionally, particularly to Southern chefs, for their reality cooking competition Chopped, a show that pits four chefs against each other with a basket of ingredients to compete for $10,000. The network came across the Hungry Peach website and encouraged Vizethann to try out. After a few preliminary rounds, Vizethann made the cut and was told filming would begin in two short months. Quickly, she began simulating basket challenges with her friends, teamed up with a local seafood purveyor to learn how to fillet fish and began reading up and binge-watching past Chopped episodes. After getting past “first-round jitters,” Vizethann went on to win Chopped for her apple-and-currant turnover recipe made of creamed corn, currants, key lime juice and crescent rolls. And what began as a misstep — an attempt to make corn ice cream, which she quickly adapted into a cream-caramel sauce — showed her ability to “make something out of nothing.” That was the redeeming quality that won the show, and it would ultimately alter her culinary path in the years to come. Armed with newfound confidence, gratitude and $10,000, Vizethann began to think bigger. “It’s a really tough industry, and it can be hard for women especially since it’s male-dominated. You have to be tough and quick,” she says. In a town known for notable chefs and restaurants, Vizethann began to hone in on a niche: breakfast. “People relate to breakfast — everyone has a breakfast story,” says Vizethann. 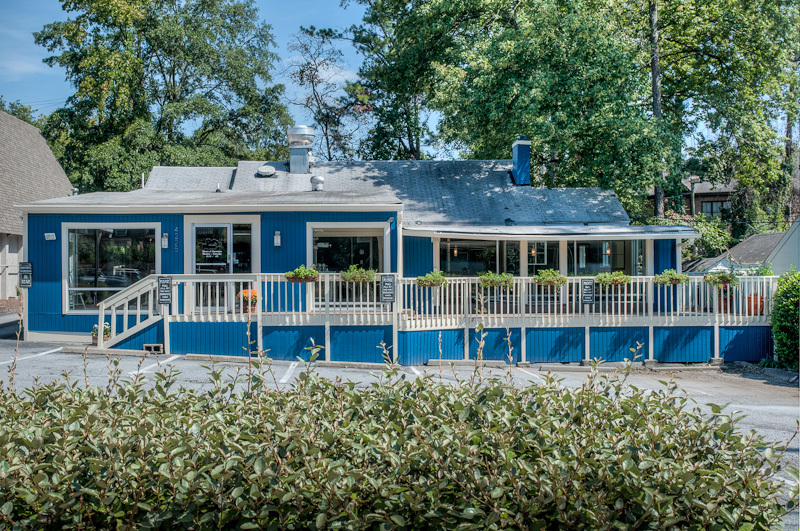 And Buttermilk Kitchen quickly became the next chapter in Vizethann’s story after opening the doors in October 2012 in Atlanta’s Buckhead community. 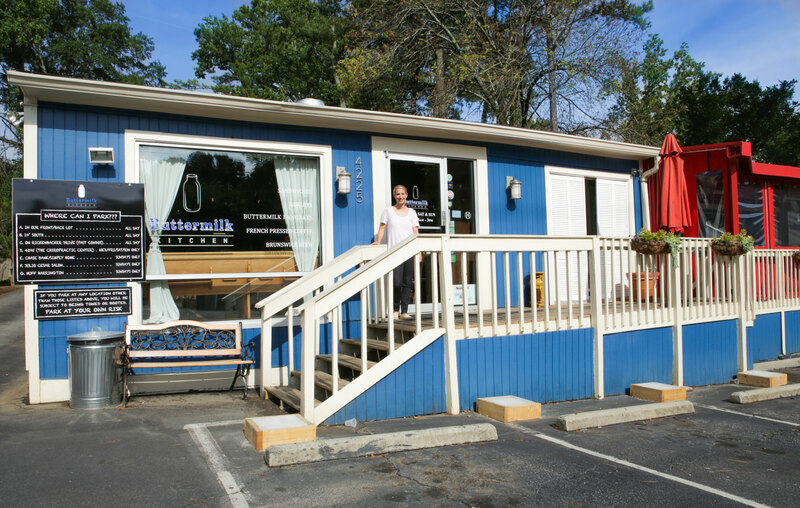 Known for its small, simple breakfast and lunch menu of local and organic ingredients, Buttermilk Kitchen has gained a loyal local following and occasional celeb drop-ins that have included Tom Hanks (proof: his favorable feedback card is on display at the bar), Scarlett Johansson, Jon Hamm and Guy Fieri. Signature breakfast menu items include: the chicken biscuit, pimento cheese omelet and lox plate; and for lunch: the fried green tomato and pimento cheese sandwich, chicken salad (plate or sandwich) and meatloaf burger. The kitchen prides itself on a menu that is around 90 percent made-from-scratch. “One of the biggest things that has made us successful is supporting the community. If we don’t make it in-house, it’s local or regional. If we can’t go local, we go organic,” Vizethann says. The menu rarely changes at Buttermilk Kitchen (“With such high volume, it’s hard to change the menu a lot”), but one night every month, Vizethann experiments with a Fancy Fried Chicken Dinner, a themed, four-course BYOB dinner that has become a hot ticket among locals. Her creative, planned dinners ranging from a Mexican-inspired fiesta with a mariachi band to a Southern wedding affair. 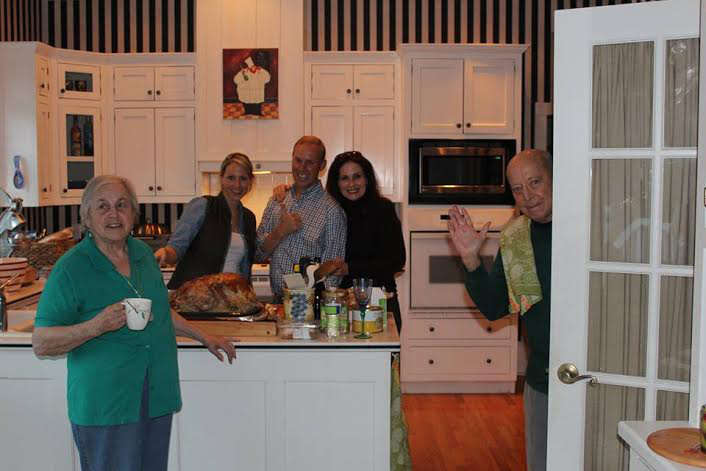 And while it’s easy to get caught up in “what’s next,” Vizethann’s focus remains firmly on Buttermilk Kitchen, where she’d like to expand her scratch-made list (like baking their own bread or canning jam), while also saving some time for personal ventures, like renovating her own kitchen at home and cooking on her Big Green Egg. And if history is any indication, the culinary world better watch out, because all of Vizethann’s best moments always begin in the kitchen. To plan your visit to Buttermilk Kitchen, visit their website. For reservations for the next Fancy Fried Chicken Dinner, watch Buttermilk Kitchen’s Facebook and Twitter pages.